The Spring 2019 Burns Park season will begin the second week of March. Dates could vary due to weather cancellations). There will be 6 sessions in all. (Times 8:00am and 9:00am) We also have a new program at D1 in West Little Rock on Sundays also starting the second week of March. We will have 2 different classes. (Times 3:00 and 4:00) The players are divided up alphbetically unless otherwise changed per special request. An email will be sent to registrants (parents) prior to the first session with specific instructions and information. This program is for kids who are 18 months-3 years old. 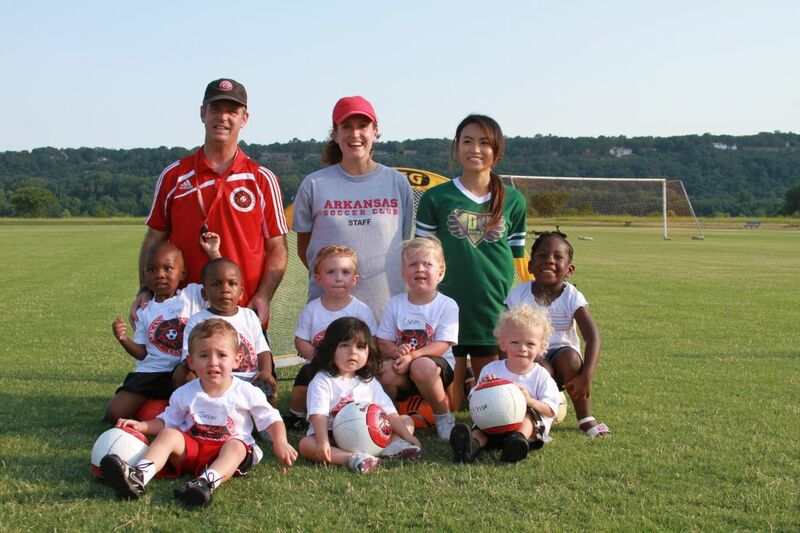 It is a unique opportunity to introduce your child to soccer. Parents and kids, led by our instructors, play organized games together to develop listening skills, balance, ball skills and foot-eye coordination. Burns Park and Little Rock Fireflies classes are 30-40 minutes long and meet once a week for 6 sessions beginning Saturday for the Burns Park program and Sunday for the Little Rock program. (Times: 8:00am and 9:00am for Burns Park and 3:00pm and 4:00pm for Little Rock) The players are divided up alphbetically unless otherwise changed per special request. The ratio for the classes is 20-25 players with 2-3 Coaches with parents on the field. Tennis shoes are acceptable but if you can find soccer shoes (cleats) in your child's size they do provide better traction. You will need to bring water or juice to every practice. Price per player $100. This includes 6 classes & a free ASC practice tee shirt.